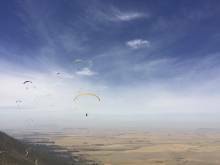 The Kaapse Buitepos Club, in collaboration with Cape Nomads, will be hosting the 2018 South African Paragliding Open, a FAI santioned CAT2 event. The seven day event will run from 09 December to 15 December 2018, with no rest days. 08 December will be an official practice day; 07 December will be an unofficial practice day. Porterville, which is known as Africa's premier summer flying and XC competition site has hosted several South African Nationals, 3 Pre-PWC's (2011, 2012 & 2017) and a PWC (2013). 1.1. The Championship is open to all Member and Associated Member countries of the FAI who may enter any number of competitors not exceeding 125. 2.2. The Registration office will be open from 16:00 to 19:00 on Saturday 08 December 2018 and again on the morning of 09 December 2018 between 07:00 and 08:00. The closure of Registration is considered as the official start of the competition. 2.3. There will be a Pilot Briefing at the Meet Centre at 20:00 on Saturday 8 December 2018. 2.4. ALL pilots need to complete a competition indemnity before permission to access the Take Off area can be granted. 5.1. Foot Launch from hill site. 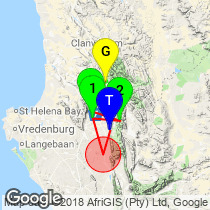 Take-off site is Pampoenfontein and back up site is Dasklip. Details can be found on the Map. 10.5. Team per country Scoring – Teams per country must be announced before the first task and consist of 5 pilots maximum, with the 2nd and 3rd pilot scoring per day for the team. More than one team per country can be entered. 10.9. Scoring will be done according to the FS Software scoring programme, the version using the GAP 2015 scoring formula. GAP parameters will be discussed and decided at the Pilot Briefing. The following parameters are a guideline and must be voited in at the first briefing before task 1. 12.1. Only certified gliders are allowed up to EN 926 or LTF 91/09. It is not permitted to modify the glider in any way, except for the length of the brake main-line. Open class gliders are permitted, but cannot win a class, a day or the competition. Langebaanweg clearance will be arranged by the organisation. 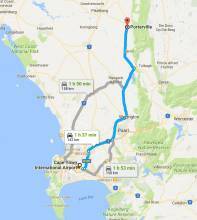 Porterville is located in the South West of South Africa, about 90 km from the Atlantic ocean, and 120 km North East of Cape Town. 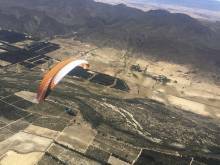 It offers a good mixture of thermal and dynamic flying, offering big-distance flights on the ridge and in the flats. 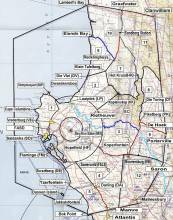 The town itself is situated in the vast Swartland valley stretching West, South and North. 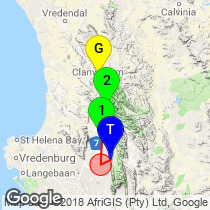 On the East it is bordered by the Winterhoek Mountain range, that serve as a natural barrier from Atlantic winds passing into the centre of the country, known as the Karoo. 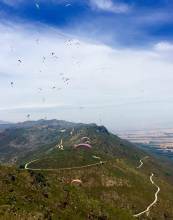 Pampoenfontein is the most commonly used take-off site in and around Porterville. It is the safer of possible take-offs in anything south of west, due to its height, and that it faces more directly into the prevailing thermic cross-wind. Take off Pampoenfontein - S32º55.616’ E19º02.235’, 800m (ASL). Landing: Field in front of take-off. Also you can find some useful flying tips here and in XCmag guide. 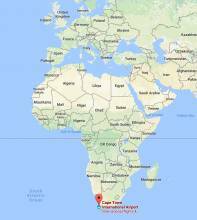 The nearest airport to Porterville is Cape Town International Airport. From here you can take a car or hire a taxi to get to Porterville. As many local pilots arrange their own recovery, we are introducing an option for pilots to use either the competition recovery, or their own. This way the organization can arrange for more efficient logistical infrastructure. The Selection will be based on a first paid, first confirmed basis. If using a phone to Livetrack, bring along an external battery pack to ensure your phone battery lasts for the whole task, as well as local sim card. 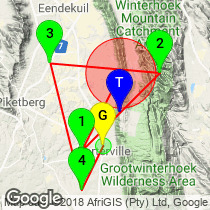 (Vodacom is best for area coverage). International pilots can pay via Payfast with either a credit card or EFT. On registration, Flo will send you a payment request via Payfast.